Out of all the reasons to see Rogue One: A Star Wars Story (stellar cast, to deepen your knowledge of the galaxy, umm ... it's Star Wars? 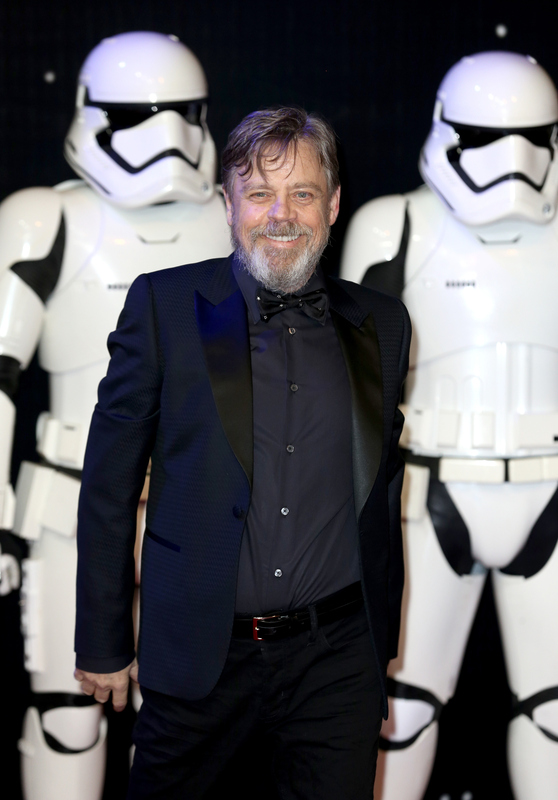 ), one reigns supreme: Luke Skywalker's — aka Mark Hamill's — opinion of the film. Hamill saw a screening of Rogue One and gave it the equivalent of an "11/10" rating on Twitter. In other words, Luke Skywalker loved Rogue One. He wrote, "Perfect Cast Astonishing Action Non-Stop Thrills Grabs U from the 1st frame & never lets go! Not just a great #SWMovie A #GreatMovie PERIOD!" If that's not a stamp of approval, I don't know what a stamp of approval looks like, so please help me. Before you go saying that his opinion doesn't matter as much as a film critic's does, whoa, that's the greatest Jedi the galaxy has ever known that you're talking about. His opinion matters specifically because well, he's Hamill and a living Star Wars legend, and because his character, Luke, was part of the Rebel Alliance. After all, he couldn't have destroyed the Death Star in A New Hope without the Death Star plans that the Rogue One crew are after in the new film. Even though Rogue One is technically a standalone film (meaning, it's not part of the episodic Star Wars saga), Star Wars's number-one guy relied on the events of Rogue One to tell his own story. So, yeah. His opinion matters. A lot. Also, please note that Hamill waited 57 minutes to post a praiseful follow-up, which leads me to believe that he sat in front of his computer screen for 57 minutes and pondered all the ways in which he enjoyed the film. He also came up with the pun "RogueOneDerful." Give all the points to Hamill. Rogue One takes place before Episode IV: A New Hope, the first Star Wars film and Luke Skywalker's introduction to the world. If you remember correctly, the opening crawl for A New Hope mentions a pre-existing story featuring "Rebel spies" who "managed to steal secret plans to the empire's ultimate weapon, the Death Star." These "Rebel spies" are made up of members of the Rebel Alliance (plus a few new recruits), and they ultimately become the group that steals the Death Star plans from the Empire — the same plans that gave Luke Skywalker the ability to blow up the Death Star in A New Hope. Luke needed these Rebel spies. His galactic journey might never have existed without them. So, Luke Skywalker is officially a fan of Rogue One: A Star Wars Story. In other news, everybody can rest easy now.